Warrior Fitness Boot Camp is a recipient of funds through the ClassPass Partner Empowerment program, designed to provide fitness business owners the financing and support needed to expand into high-demand markets. Two years ago, Alex Fell, founder of Warrior Fitness Boot Camp, was on the lookout for a new space for his fast-growing Marine boot camp style workout. With a successful location in midtown Manhattan, Fell scoured potential venues all over the city, from uptown to downtown and even Hoboken in search of the right space. When he finally found a space off Bedford Avenue in Williamsburg, Brooklyn that encompassed everything he was looking for—a big space with plenty of room for building obstacles, adding turf flooring, and a hot location filled with young professionals and high-end retail—he knew he had to jump on it. “It was a natural evolution of things,” Fell shared, in terms of how he knew his business was ready to expand. After serving in the Marines for a number of years, Fell had gone back to college and worked in the fitness industry. He saw a lot of boot camps popping up, but nothing quite like what he’d experienced during his years in service. He knew he had a unique concept to bring to the fitness market. Fell borrowed money from family and friends to open his first location of Warrior Fitness Boot Camp on 35th Street, co-founded with Ruben Belliard, who now owns The Training Lab in NYC. He had been discussing expansion for years, debating whether to take on investors or take out a loan, when ClassPass approached him with their empowerment program. The empowerment program targets successful businesses on the ClassPass platform with potential to grow into high-demand markets and provides them with the financing and support needed to expand. Shari Castelli, Director of Corporate Studios and Empowerment at ClassPass, mentioned why she thought working with Fell made sense and how they settled on Williamsburg. In addition to providing upfront capital with preferred financing terms, the team at ClassPass also supported Fell with substantial demographics research. The data revealed the different types of classes in the area, where users were working out, and what other gyms were nearby. There was not another military-style boot camp in the area at the time, which helped Fell decide this was the right fit for his business. The build-out process took about two months and included incorporating an obstacle course, putting down turf and rubber, and adding bathrooms, locker rooms and offices to the space. Since then, Warrior Fitness Boot Camp has seen incredible success and is on the forefront of strength training in Williamsburg. The area has continued to grow and more gyms have moved into the neighborhood. As for what’s next, Fell says they’re always progressing and looking to grow the business, which includes keeping an eye out for new locations while also maximizing his existing studio. They recently added a sports conditioning class to their schedule, taught by a former professional soccer player, as well as a kids bootcamp to leverage the family-focused crowd living in the area. Fell recognizes that he has a captive audience in Williamsburg, and plans to continue diversifying their offerings to keep his loyal client base coming back for more. Alex Fell served in the United States Marine Corps from 1996-2003. While enlisted, Alex was a forward observer with the infantry and was a member of the Marine Corps Martial Arts Demonstration Team. In 2004, he was honorably discharged from service with the rank of Sergeant. 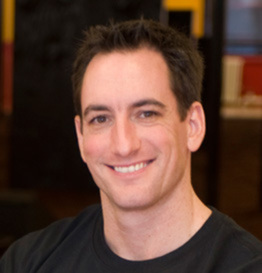 He holds a Bachelor of Arts degree from The City College of New York (CUNY) and is also an American Council on Exercise Certified Group Fitness Instructor. For more information about the ClassPass empowerment program, contact our team at studios@classpass.com.